Mark is co-leader of Colliers Logistics & Transportation Solutions Group based out the Philadelphia Regional Market. The team focuses on providing advisory services to both occupiers and owners of bulk warehouses, fulfillment and distribution facilities. Locally, they provide extensive coverage in Eastern Pennsylvania, Delaware, Northern Maryland and Southern New Jersey. Beyond his regional market, he advises corporate occupier clients on real estate strategy and procurement of sites or facilities throughout North America. He has represented many prominent organizations on both the tenant/buyer and landlord/seller side of the transaction, with projects totaling over 25 million square feet of space in the past 5 years. Mark serves on the national steering committee of Colliers International's Logistics & Transportation Solutions Group. The group is a national group of industry leaders that focus exclusively on providing real estate services to the users of logistics facilities. Mark focusses on providing creative, market based solutions to his clients needs with an emphasis on reducing occupancy costs and limiting risk. 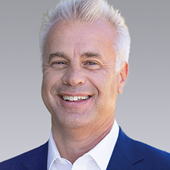 Michael Zerbe is a Senior Managing Director & Principal within Colliers and is a member of Colliers Logistics and Transportation Services Group. He specializes in assisting consumer products companies and third party logistics companies with distribution centers across the country. He also focuses on large distribution centers along the I-78, I-81 and I-80 corridors, representing clients in the acquisition, disposition and development of industrial real estate. Michael has extensive experience in many facets of the real estate process including site selection analysis and ground-up development including entitlement and incentive procurement, property valuation, and transactional negotiations. Kirsten joined Colliers International in 2016 as a dedicated market analyst for the Eastern Pennsylvania Logistics Team. She specializes in market research, spatial analysis, and data management , focusing exclusively on industrial big-box product. 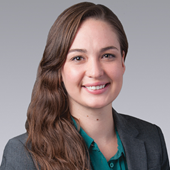 Kirsten is the primary author of the team's published research reports, produces labor and demographic studies, and provides custom analytical services to the team's institutional client base. She enhances the Logistics group’s ability to provide exemplary service and works in conjunction with the Colliers in-house marketing and research departments to provide clients with greater access to our full suite of services. Kirsten holds a Professional Science Master's in Geographic Information Systems from Temple University, giving her a strong foundation in data management and analysis. She is an adept user of a variety of geospatial and database programs. Her role at Colliers builds on prior experience conducting market and due diligence research for Peaceable Street Capital, a financing platform of commercial real estate properties.